‘Hiruki‘ wrap is hand knit with a special color composition yarn and a new form: a triangle. It is more versatile at the time of wrapping the newborn. The pattern is different on each side. You can use it like a blanket too. Ask me for more colors. 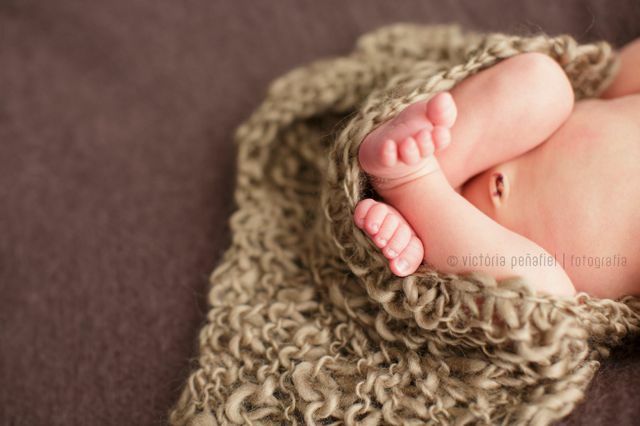 Thank you so much to Victoria Peñafiel for her beautiful photo of Chloé wrapped with ‘Hiruki’. 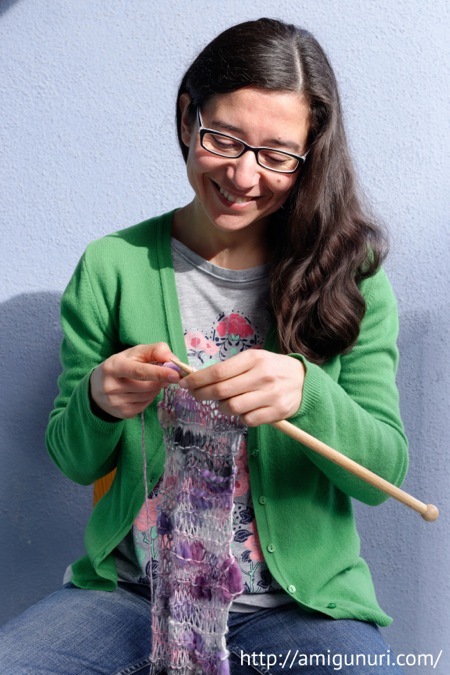 Knitting a ‘Fantasy’ foulard in lilac tones for Gangadevi. It will travel to India tomorrow. To know more about what I lived in Anantapur, read me. This foulard is hand knit with a bamboo-wool yarn that gives various thicknesses, creating a special texture and it is irresistibly soft. In 2007 I traveled to India to meet Gangadevi. During the days we stayed at Vicente Ferrer Foundation, we met Vicente, his great team and his action in Anantapur. 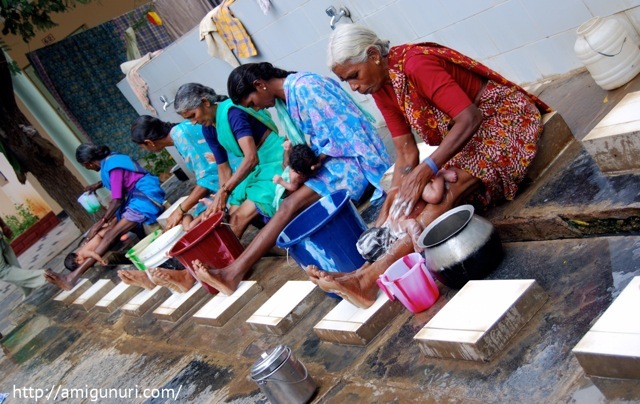 We saw grandmothers bathing newborns in the family planning center, full of pride… What energy! I would like to introduce you to my cousin Alex. 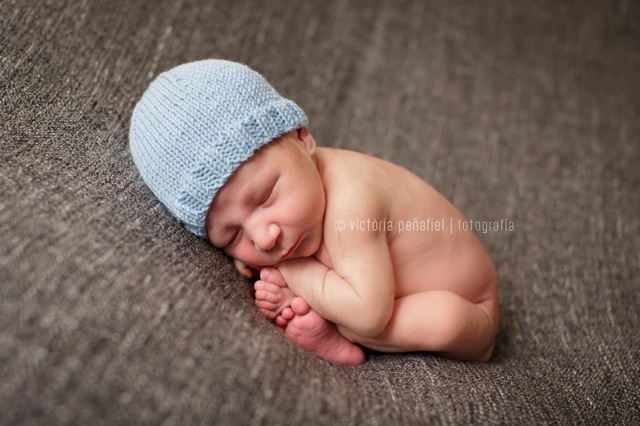 His mom and dad choose Victòria Peñafiel to portray him in his first days of life. I attended the whole session: simplicity, gentleness, kindness, peace and elegance, just what I see in her photos. 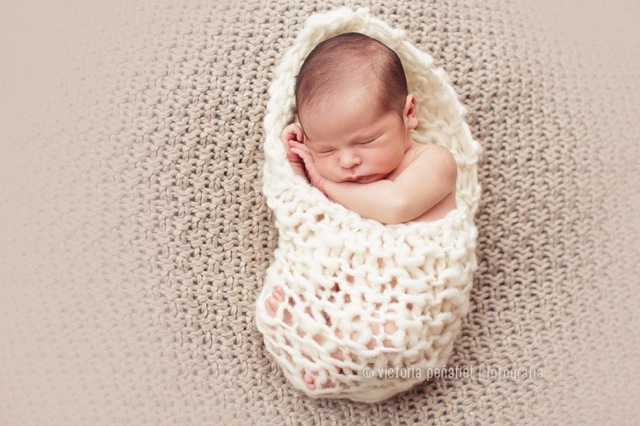 With patience, unhurried, respecting the rhythms of the newborn and a lot of empathy with his parents. Yes, autumn is here. And to celebrate I knit a thick, fluffy blanket with their colors. Never run out it. Only 2 available!!! This beautiful moment has been captured by Victoria Peñafiel. 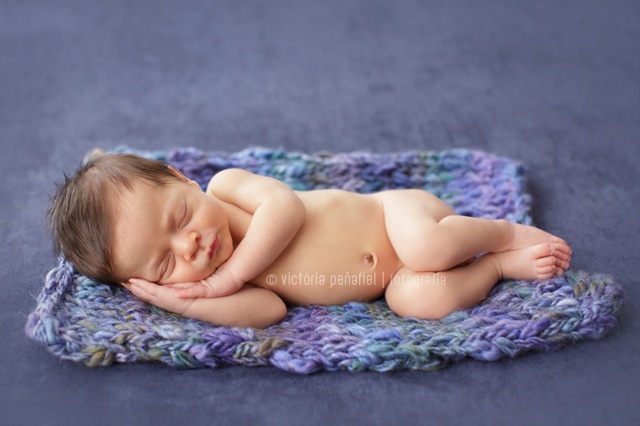 What he dreamed while sleeping so peacefully on the amigunuri ‘Trena‘ blanket? 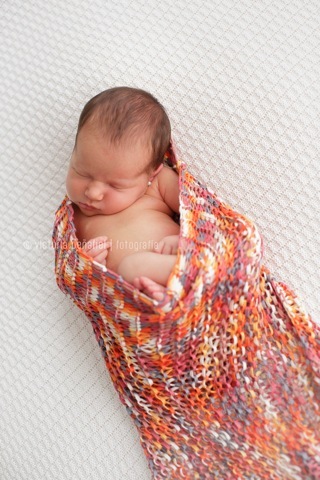 ‘Trena’ blanket hand knit with a yarn that gives various thicknesses, creating a special texture. Two into one because the pattern is different on each side. Available in two color compositions. ‘Cargolet‘ wrap is hand knit with a wool that gives various thicknesses, creating a special texture. You can use it like a blanket too. Available in brown. Ask me for more colors. 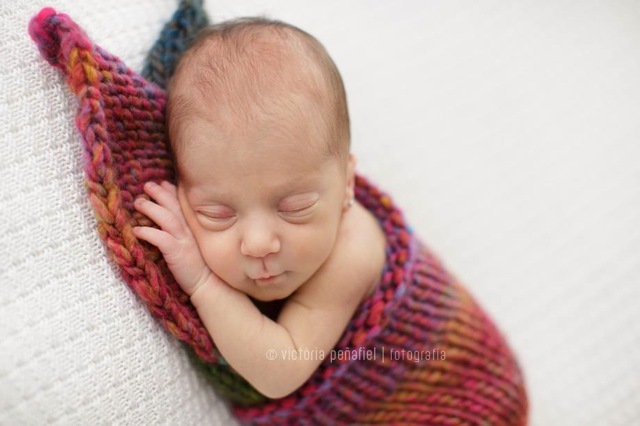 Thank you so much to Victoria Peñafiel for her beautiful photo of a newborn wrapped with ‘Cargolet’. All products are handmade by me with love. Give yourself a few seconds of relax with my Bamboo Sea. 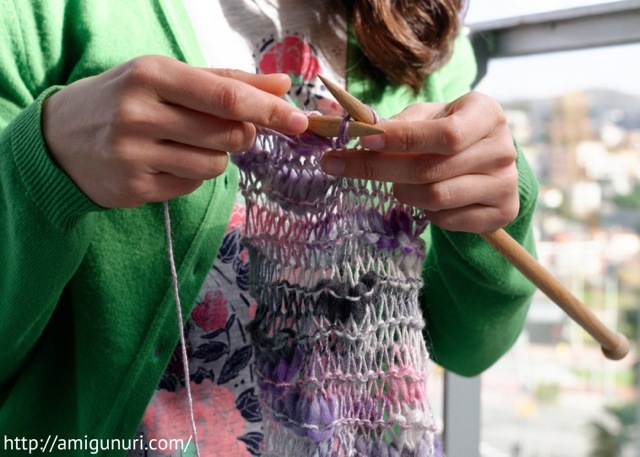 ‘Bamboo’ Foulard is hand knit with a special bamboo yarn. Irresistibly soft. It is very stretchy. You can manipulate it to achieve different textures. You can use it like a wrap or a blanket too. Bamboo is softness and strength. It is also breathable, antibacterial, quick drying, capable of deodorization, absorbent, excellent permeability and 100% biodegradable. 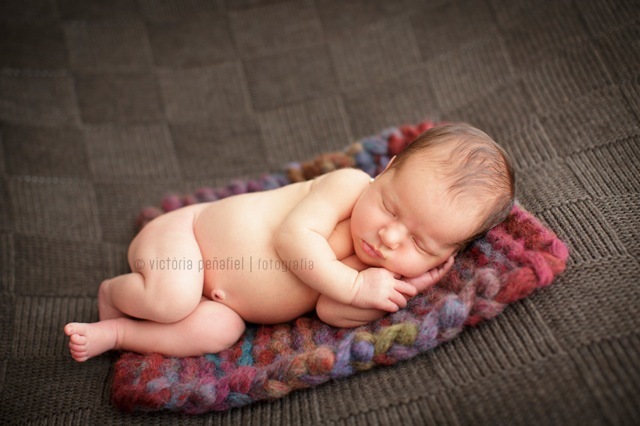 Thank you so much to Victoria Peñafiel for her beautiful photo of Lotta wrapped with ‘Bamboo’ foulard. All products are handmade by me with love!